Do you have a UK registered pension and are you a tax resident in the Czech Republic? If the pension remains in the UK, where the DTA conditions are satisfied, no tax should be due on such income in the UK with tax due in the Czech Republic at 15% on such income for Czech residents. If not Czech resident UK tax may be due (at up to 45%). Furthermore, the fund remains exposed to the UK death benefit charges. Transferring to a Gibraltar QROPS for non-UK residents (5 years +) can alleviate UK tax (at up to 45%) with 2.5% tax in Gibraltar being due on payments and tax in Czech Republic for residents at 15%. The Gibraltar tax paid may be expensed by the taxpayer against his / her taxable income in the following taxable period. No Czech tax on such income for non-Czech residents, even if remitted to the Czech Republic. No tax on transfer to the QROPS and no Czech tax on investment growth in the QROPS. Furthermore, the QROPS can protect from the UK death benefit charges if non-UK resident (5 years +) and there is no Gibraltar IHT. Transferring to a Maltese QROPS for non-UK residents (5 years +) can alleviate UK tax (at up to 45%) with no tax in Malta due on payments if the DTA conditions are satisfied with tax payable in Czech Republic for residents (at up to 15%) under the DTA. No Czech tax on such income for non-Czech residents but then Maltese tax (at up to 35%) would be due. No tax on transfer to the QROPS and no Czech tax on investment growth in the QROPS. Furthermore, the QROPS can protect from the UK death benefit charges if non-UK resident (5 years +) and there is no Maltese IHT. There is a DTA between the UK and the Czech Republic. This states that pensions and other similar remuneration paid in consideration of past employment and annuities paid to a resident of the Czech Republic shall only be taxable in the Czech Republic. Gibraltar has no DTA with the Czech Republic, therefore the QROPS pension payments to you would be taxable in Gibraltar, currently at a rate of 2.5%. Malta has a DTA with Czech Republic, this provides that pensions and other similar remuneration paid to a resident of the Czech Republic in consideration of past employment shall be taxable only in the Czech Republic. Currently Malta does not treat QROPS as “paid in consideration of past employment” and therefore the Other Income Article of the DTA applies. This also allocates sole taxing rights to the Czech Republic. Therefore the QROPS pension payments should not be taxable in Malta for a resident of the Czech Republic. There are separate provisions for Government Service and Social Security Pensions. Obligatory Pension Scheme (so called “State Pension Scheme”- 1st pillar), i.e. employer and employee (or self-employed persons) are obliged to pay contributions from self/employment income according to relevant legislation in respect of future old age pension benefits. Supplementary Pension Scheme (2nd pillar) where the employee (or self-employed person) can voluntarily contribute; however, this scheme will be abolished as of the end of 2015. Private Pension Insurance Scheme in which the individual can contribute to the private pension funds (so called 3rd pillar) as defined by Czech Income Tax Act (“ITA”). Private Life Insurance Scheme where the individual can voluntary contribute. There are differences in taxation of pension benefits from the different schemes. UK pension schemes and QROPS are most likely to qualify as 3rd pillar private schemes. This briefing therefore provides general information on the taxation of such schemes. For confirmation of the taxation of a specific scheme, contractual documentation would need to be reviewed for Czech purposes. An individual becomes a tax resident of the Czech Republic if they have a permanent home in the Czech Republic, or if their stay in the Czech Republic exceeds 183 days in a given calendar year. A person can be a resident, non-resident, or split resident for part of the year for Czech tax purposes. Individuals resident in the Czech Republic are generally taxed on their worldwide income unless a DTA stipulates otherwise. Non-residents are subject to tax on income from Czech sources only. An individual’s aggregate income is taxed at a flat rate of 15%. However, for employment income the effective rate is 20% because salary is grossed up for employer social security and health insurance contributions. Annual income from employment (sum of gross income from employment and tax base from self-employment) exceeding annual cap for social security (CZK 1, 277, 328 = £34,500 for 2015) is, in addition, subject to a 7% solidarity tax. Taxable income includes pension income and annuity income. Therefore foreign pension income is taxable on residents but not on non-residents (even if remitted to Czech Republic). Such foreign pension income would be taxed at the same 15% rate. The individual may receive regular monthly pension income for his lifetime, or for a defined period of time, or a one-off payment. It may be possible for contributions made to be deducted from the taxable income or lump-sum. Any Pension Commencement Lump-Sum would also be taxed at 15% flat tax rate. 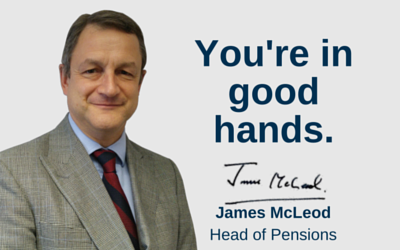 There are no special exemptions for foreign pension income. The Czech legislation does not specifically recognise occupational schemes in the sense of company pension schemes; taxation depends on the character of scheme from which the pension benefit is received. The investment growth in the foreign pension fund (including any gains made by the scheme) would not be taxable in the Czech Republic until paid out to the Czech tax resident. In the Czech Republic individuals are taxed on“cash basis”. Therefore, accrued income whilst in the foreign pension fund shall not be taxable by the individual in the Czech Republic. On this basis, there should be no Czech tax on the transfer of the accrued pension rights from a UK scheme to a QROPS. A taxable event should only occur at the point the pension benefits are paid to the member. Unfortunately, foreign tax paid in a non-treaty country (e.g. Gibraltar) cannot be credited in the Czech Republic. However, such foreign tax paid in a non-treaty country is treated as a tax-deductible expense and may be deducted from the tax base of the individual in the following tax period. There is no wealth tax or estate tax in the Czech Republic for Czech residents. The gift tax and inheritance taxes were abolished as of 1 January 2014; taxation of gifts and inheritance is now implemented in the Czech ITA. Income tax (of 15%) is generally imposed on gifts. The tax legislation allows for an exemption from income tax of gifts between relatives, between the persons living in the same household at least one year before the gift was provided, and exemption applies under certain circumstances in the case of gifts provided to a trust. Moreover, the gifts between unrelated persons up to the annual value of CZK 15,000 are generally exempt from the income tax. There is no inheritance tax for individual taxpayers. Payments from foreign pension funds, if inherited by the heirs, shall be tax exempt in the Czech Republic. The Czech Republic has signed DTAs with more than 80 countries, including the UK and Malta.